Sketches; (2011) Now Available through Songrila, my newest CD includes both tunes which have been around for a while and new additions. The album focus is certainly songwriting, a character study if you will about different personalities and the human condition. I managed to sneek in some tasty rhythmic treatments too. The cover art was created by Amy Burnette. The inside cover art is an original George Tsukakawa sketch he did for me when I finished the sound track to his PBS documentary by the same name... thanks again, George... RIP! 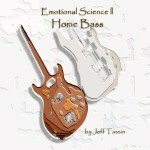 Emotional Science ll; Home Bass; (2009) The companion CD to Emotional Science. Where Emotional Science was dedicated to the woody sounds of acoustic guitar solo pieces, this CD explores the deep, baratone timbers of bass guitar. On this CD some of the worlds best sounding basses sing haunting melodies and play about complex chord progressions, a 1972 Les Paul Recording Bass, a 1969 Hohner Fretless by Bartell were used. I also designed and built my own custom fretless bass, aided by the talents of Jeremy Rench. Similar to Emotional Science, these compositions lay out a very pastel and tranquil scape, but the deeper you look for composition, the more you may find. Wood Steel and Bone; (2009) is simply as it sounds. 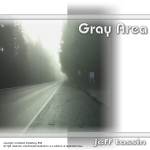 This CD was recorded with a stark, 3-piece band consisting of drums, bass and an acoustic guitar, with emphasis on delivering the goods as simple as can be. It was the songs that were featured here, songs which are stripped bare, drawn with the least lines. 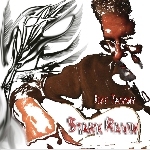 Stark Ravin; (2008) A sparsly recorded CD, featuring songs delivered in a style which most resembles what you might here at my live solo performances. Pop Fiction; (2005) And the Pop-Rock goes on. This a collection of tunes piled up on me.whilst I wasn't looking and I had to get them recorded just to clear the runway. It was a very fun project, experimenting with unexpected counter-parts and instruments. Emotional Science; (2000) is a collection of my Emmy award winning PBS compositions for solo acoustic guitar, performed on some of the rarest guitars in the world, a 1965 Martin D-18, a 1956 Martin D-18, a 1941 Gibson Southern Jumbo, a 1950s Candelas Flamenco, a 1972 handmade Yamaki, and a 1996 Gibson Starburst, custom built by Ren Feguson at the Montana Gibson factory. Thanks to Paul Black for the loan on that Jumbo, what a box. 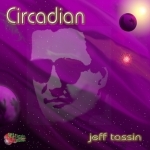 Circadian; (2001) R&B / Pop. I cut loose on my 1966 Gibson 335, an overhauled Epiphone Strat and a hot-rod Hohner strat for some power pop adventures. 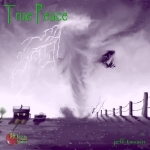 True Peace; (1998) is a true guitar lovers CD. Totally instrumental guitar playing, from the bone crusher tune, 'Bengal Dance', to the sensitive 'Sheol', played with slide guitar, to the bluessy jazz tune, 'Soar Eyes'. If you like bluesy rock & mournful jazz, you're gonna like this CD. True Peace (1992) Here again, I cannot resist variety, venturing into a broad soundscape, from R&B to acid Jazz like I know what that means) and area's difficult to pigeon-hole. 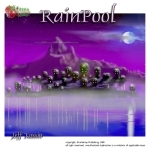 RainPool; (1990) emotional guitar and keyboard textures weave together for an atmospheric, instrumental adventure. I'm trying to explore places where I don't veture as often. Black n White; (1989) My first solo CD combines classic Rock & R&B with a host of acoustic solo tunes, including the song 'Waistin' that Moon', now appearing on the Freddy Pink CD, 'In Search of Blue Water', where Gordon Yancey does a masterful rendition. 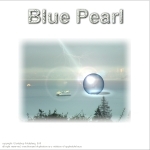 Blue Pearl; (1985-99) is an entire CD of my orchestrations, from award winning KCTS productions to 40-piece orchestrations written for no good reason. This one will bring out the classical in you. Poetic License; (circa 1985) a rare CD, including the tune, 'This Road' which was currently released on the 'North Dakota Lonesome' CD by Kel Schmitz. This collection, recorded 'live' at various gigs, represents some of my best vocal performances. 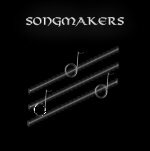 Songmakers; (1977) a rare album of some antiquity, produced during a summer of idle angst. Renting recording equipment for three days, Tom Wilson and I, put our tunes on the table and went through them one by one with the superb drumming skills of Rick Tassin, in Forrest Cedric Addy's living room, thereafter dubbed... Smokeless Studios.